I decided to write this post on how to perform proper push-ups for a few reasons. 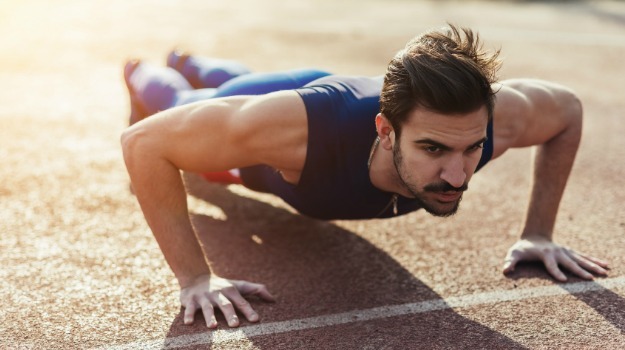 The first being, as you will read in the article with the link posted below, push-ups are an under rated exercise when it comes to strength and condition training. The second reason being, I know many of you may already be incorporating push-ups into your weekly exercise routines but once you read this article, you may realize you are not performing a proper push-up correctly and therefore, not receiving effective results, and then not fully benefitting from them. Okay, okay I am just going to make one more point before you rush off to click on the link below. This article is especially great for those who may have said "I can not do a push-up" and the reason for that is because it does a fantastic job at explaining how to progress you through a proper push-up efficiently using easy to follow progression techniques.